It is the rare law librarian who is unfamiliar with LLMC-Digital, today’s incarnation of the Law Library Microform Consortium, chartered in 1976. 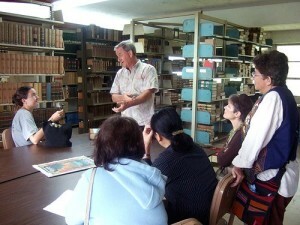 The Hawaii-based LLMC describes itself as “a non-profit cooperative of libraries dedicated to the twin goals of preserving legal titles and government documents, while making copies inexpensively available digitally through its online service LLMC-Digital.” Despite its accuracy, the blandness of this public depiction matches not at all with the persona of Jerry Dupont, founder and guiding spirit of LLMC. When Jerry Dupont enters a law library, tanned, sandal-shod, and Aloha-shirted, Hawaii comes to town. Who knew digitizing the legal materials of the world could be so fun? Behind the relaxed persona lies a determination to record in digital form all species of law materials, much of it set down on paper that may be en route to final disintegration. Dupont identifies and hunts down likely materials in libraries across the country; he finds especially interesting the already scarce historical legal materials that may be of minimal interest to for-profit companies for digital reproduction – and therefore generally at higher risk of eventually disappearing in paper form, and perhaps forever. Having recently stepped down as LLMC’s Executive Director, Jerry Dupont has assumed the title of Associate Director for Content Management, and continues to be as integral a force in LLMC as he has from its inception. The tech aspect of LLMC, which began as a producer of legal materials in microfiche format, would suggest that its creator would hail from a computer or information technology background. Not so; Jerry Dupont majored in philosophy, went on for law and library science degrees, and eventually, when LLMC became a reality, a Master’s in Business Administration to provide him with the tools to ensure competent economic management of the new enterprise. His thorough and detailed knowledge of historical legal materials provides an unmatched, onsite resource for providing perspective on the projects that find their way to LLMC. Dupont notes that the route from philosophy major to LLMC creator-in-chief was not something he mapped out; more than once, fate interposed and created opportunities, which the astute Dupont recognized and accepted. The happy coincidence of a nonprofit business that provides law libraries with affordable collection development options, and a preservation tool, is a result accomplished by Dupont and his team through decades of immersion in the process of finding and reproducing targeted materials, and much brainstorming. Recently Dupont commented in an interview with the ABA Journal that “When people say everything’s online, they’re woefully uninformed.” One might say his goal with LLMC is to disprove his own assertion. Jerry Dupont was kind enough to share his odyssey in preserving and providing access to the records of legal history in his interview, below. Jerry Dupont giving a presentation and tour of LLMC’s scanning operations. A LEGAL MISCELLANEA: Can you tell us something about your pre-LLMC background: your education, professional positions, and how you were attracted to law librarianship? JERRY DUPONT: In undergrad I majored in philosophy, with minors in English Lit, Latin, German and Greek. So there weren’t many obvious jobs for me when I graduated in 1961. Moreover, the military draft was very much in effect. That helps explain how I ended up in the Army Intelligence Agency, taking Russian at the Army Language School in Monterey, and serving for two years as a low level spook in semi-occupied Germany. Once my mandatory service was over, I was inclined toward either medical or law school. Law school being shorter and cheaper, the fickle finger of fate pointed in that direction. During my third year at Michigan Law, I also ran for the Ann Arbor City Council – a sacrificial Democrat standard bearer in a Republican district. Great fun! But, it did mean missing the whole law firm recruiting season. So by May, 1967, I had passed the bar, but was broke. On a lark, I took what I expected to be a temporary flyer as a reference librarian in the U. of Michigan Law Library. The omens weren’t good. I had made it through law school without noticing the existence of law librarians. So my new colleagues didn’t expect me to linger long. But fate intervened again by quickly moving three crucial bodies in the ranks above me off to brighter horizons. Within two years I had floated up to being assistant director of the library, in charge of collection development with one of the law library world’s best book budgets. To my surprise, I found that I liked building libraries. So I took an M.A.L.S. on the side and settled in. Thus tenderly does destiny nudge us to its ends. Well-meaning computer enthusiasts encouraged us to grasp at every new digital fad that came along. But moving prematurely could have been disastrous. Other than in the course of your professional experience as a librarian, did you study or use technology extensively, or do you have a “tech” background that made a proposition such as LLMC appealing? JD: Hey, I was a philosophy major! Philosophers think up things. They don’t actually build them. For that they hire professionals. The real implication of your question, I guess, is that a tech background might have made starting something like LLMC easier. Not really. Whenever LLMC, in either film or digital, needed seriously competent technicians, we found and hired them. Which worked out fine. What was needed from me for LLMC’s survival was competent economic management. That’s why, after beginning to understand the project’s emerging needs, I endured the grief of getting a part-time MBA. That said, there was one way in which my background in the Army Security Agency became useful later on. This was when LLMC was pondering the switch from microfiche to digital. Of course, there was a lot of pressure. Well-meaning computer enthusiasts encouraged us to grasp at every new digital fad that came along. But moving prematurely could have been disastrous. For example, we probably wouldn’t have survived an enthusiastic plunge into CDs. Without revealing any secrets, I can relate that my military experience did teach me the virtues of caution. Back in 1962 our intelligence headquarters in Europe launched a full bore application of early mainframe computers to serious intelligence analysis. Along with squadrons of others equally unqualified, I was sucked into a year-long project that wasted enormous amounts of money on equipment and labor to produce the intelligence equivalent of a mouse. I learned two things from that. One, computers aren’t magic. And two, moving too early can be worse than moving too late. Did you experience a “eureka moment” which eventually led you to create LLMC? 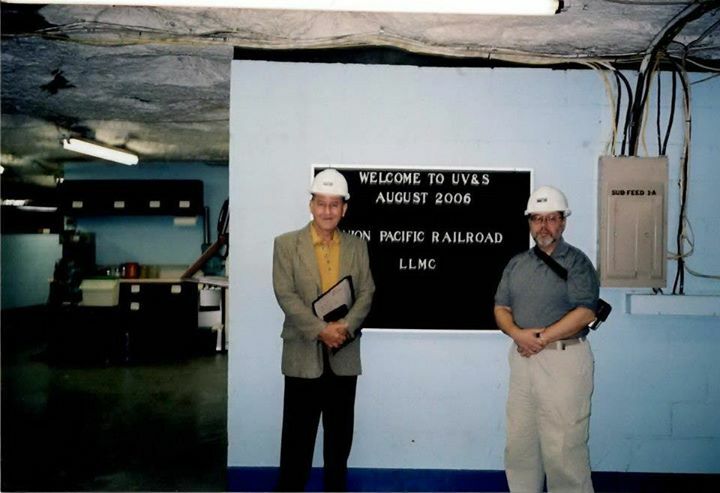 Please tell us the story of the founding of LLMC. JD: The idea for something like LLMC first sprouted back in 1971. I was assistant director at Michigan. The Law Library, then pushing 500,000 volumes, was pondering how to accommodate an anticipated doubling of its physical collection in the next three decades. My boss, Bev Pooley, asked me to do a serious study of our options. He wanted to provide the Law School deans with the full range of alternatives, either proven or reasonably in prospect, to funding a physical addition to the existing building. I produced a minor tome of 132 pages entitled The Law Library to the Year 2000; Storing and Preserving the Collections (available online as LLMC Title 82999). It covered all varieties of intensive book storage then available, as well as the potential for utilizing microforms or digital to the extent that those technologies were then feasible. A film-based option that I explored was having Michigan convert a major portion of its existing collection to microfiche. To finance the project, I suggested selling copies to sister law libraries – in effect a law library microform consortium. As things turned out, the Michigan deans passed on the idea, choosing instead to build an underground addition to the existing library structure. The idea for something like LLMC first sprouted back in 1971. I was assistant director at Michigan. The Law Library, then pushing 500,000 volumes, was pondering how to accommodate an anticipated doubling of its physical collection in the next three decades. 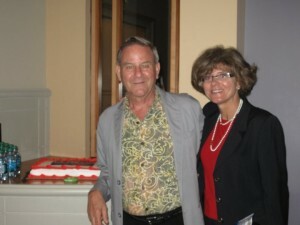 Jerry Dupont, LLMC’s Associate Director for Content Management, and Executive Director Kathleen Richman. So one thing led to another. Don raised most of his money from the auto companies. I got the bulk of my quota through a local Hawaii philanthropist, Mr. Stuart Ho. Our campaign needed an interesting sales pitch, because few of our potential donors really understood the microfiche thing. Our pitch to our donors was that they could do double good with their money. We promised that, once we started earning funds from the fiche, we would repay their seed money, which they could then redirect to another charity. And that’s how it worked out. LLMC got its solid start, and we did eventually pay all the donors back. Furthermore, bless his soul, using his second chance, Mr. Ho used his rebated money and some added funds to make a donation of $250,000 worth of our microfiche, plus readers and storage cabinets, to help rebuild Chinese law libraries after the Cultural Revolution. Fun from the past: visiting colleagues Donald Dunn (with wife Cheryl) and Roy Mersky (with wife Rosemary) gather over dinner with Jerry Dupont. Please discuss the mission and goals of LLMC. What sorts of materials are of interest to LLMC for its projects? Why is the LLMC initiative important, and who benefits from its activities and “product?” What are the preservation benefits of LLMC’s work? JD: We believe that an essential element of preservation is continued use. And, since “use” in our times has come to be defined as being digitally accessible, we think that it is vital that our legal literature migrate into the contemporary format. The reality is that most of what doesn’t migrate will be lost. Therefore, the mission of LLMC is to help its member libraries navigate the transition to a digital world as economically as possible, while preserving as much of our legal heritage as possible. To further our preservation goals, we specialize in those digitization projects that are least likely to be profitable and therefore are unattractive to the commercial sector. We believe that an essential element of preservation is continued use. And, since “use” in our times has come to be defined as being digitally accessible, we think that it is vital that our legal literature migrate into the contemporary format. But we also don’t shy away from doing some popular titles. In fact we believe that, given the historical drift of commercial publishers toward monopoly-by-title, it is important to establish a non-profit, TVA-style, presence in the market to help establish reasonable baselines for digital pricing. As to who benefits from our work, all law libraries benefit when we make scarce resources widely accessible. And all benefit when we obviate the need for widespread physical storage of less-used titles. Finally, all law libraries benefit, at least indirectly, if our presence serves to slow down in any degree the incessant rise in the cost of legal materials. In 2002, you received the Joseph L. Andrews Bibliographic Award from the American Association of Law Libraries for your book The Common Law Abroad: Constitutional and Legal Legacy of the British Empire (Fred B. Rothman Publications, 2001). Please tell us about the LLMC project associated with your book. JD: One of the personal delights of my job at LLMC is that it has given me the privilege over the years of working in scores of great libraries. During that time I became aware that cumulatively our law libraries held a huge range of materials generated in and for the former colonies of the British Empire. However, this massive amount of common law heritage was held in such helter-skelter fashion that few librarians even knew that it existed as a cohesive source of doctrine and precedent. The goal of the Common Law Abroad project was to define this body of literature in sufficient detail to bring it to widespread attention among librarians. That attention now is reality. This body of literature now has a constituency, which has been a major factor in generating support for its preservation. We estimate that something like 40% of the volumes described in the bibliography have now been digitized. The fates being cooperative, we’ll eventually do them all. One of the personal delights of my job at LLMC is that it has given me the privilege over the years of working in scores of great libraries. Please discuss LLMC’s Haiti Legal Patrimony Project: its philanthropic origins, organization of the project, participants, and its status now. JD: When the great earthquake hit Haiti in 2010, many of us gave donations on a personal basis. 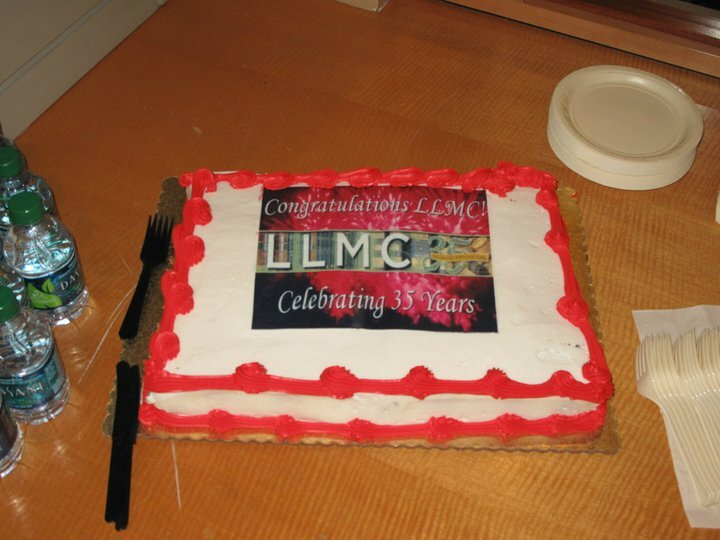 But, some folks asked us, wasn’t there something that LLMC could do as an organization? Well one thing that we know how to do well is to build libraries. Helping to rebuild Haiti’s law libraries in a contemporary format would help free up funds for other pressing purposes, while providing the country with something of enduring value. So I approached Kent McKeever at Columbia Law Library and Roberta Shaffer, then Law Librarian of Congress, to see if they would be willing to have their combined collections serve as the foundation for such an effort. Fortunately they were both more than willing to help launch the project. The goal we established was to create as rich a collection of Haitian law and governance-related public domain titles as had ever been assembled, and to make that collection freely available both to the citizens of Haiti and to the world generally. The digital Haiti Legal Patrimony Collection has now grown to 1,030 scanned titles, with another 131 titles identified and still coming in. We expect that the final tally will be just over 1,175 titles. This tells us a lot about the kindness and generosity of our colleagues. Why did you choose to establish LLMC as a nonprofit organization? JD: We never thought that our one non-profit could manage the whole task of preserving legal literature by itself. There is definitely a big role for the commercial sector. However, being non-profit gives us greater freedom to take on many projects that the commercial sector wouldn’t find viable. Another very important side benefit of our non-profit status is that it has given us “the keys to the store.” We have been provided access to library materials, and levels of library cooperation that we never would have had were we for-profit. How does LLMC operate? Please discuss its organizational structure, personnel, and partnerships with other groups. JD: LLMC-Digital is run by a Board of Directors that is elected by its Charter Member Community. The latter is composed of the 246 intrepid libraries that pooled their resources to launch the digital service in 2003. So the entire operation is run for librarians by librarians. Our stockholders are our subscribers. Our professional staff of ten in Kaneohe, Hawaii, conducts the bulk of our data capture operations. They are assisted by five extern-scanner operations. The technical work of running our subscription web site, LLMC-Digital, is sub-contracted out to a large commercial firm, National Business Systems, headquartered in Eagan, Minnesota. Finally, LLMC benefits enormously from a partnership with the Center for Research Libraries, a partnership which adds substantially to the funds we can devote to our preservation work, while broadening our sources for target materials. Can you discuss something of the evolution of LLMC as a producer of microfiche to its position today as a provider of text in digital format? Do you still produce microfiche, and if so, why, and what is the relationship today of LLMC fiche products to its digital library? JD: LLMC is pretty well out of microfiche. Not because we wanted to be, but because the world has moved on. Good arguments can be made for certain niche applications of film technology, particularly for durable preservation. And our original plans for our digital transition included “writing” the digital scans onto preservation quality microfiche for dark-archive retention and preservation. But the mass market for microforms disintegrated almost overnight early this century. Without the mass market, there was nothing to sustain the infrastructure that used to support the industry. At LLMC, all of our equipment was broken down and obsolete, and we couldn’t get replacements. Finally, even film stock itself became unobtainable at anything like a reasonable price. So, we didn’t leave microforms voluntarily. We were squeezed out. Who participates in scanning materials for LLMC’s digital database? What are your standards for “scannable” material? What happens to the materials after scanning? JD: Just about anything is “scannable.” The only real question is “with how much care.” As materials get more fragile they have to be handled ever so much more gently. The bulk of LLMC’s scanning is done at our plant in Hawaii, which is housed in space donated by the University of Hawaii. Only 4% or so of the books that we scan in Hawaii are on loan, and these require non-destructive flat-bed scanning. However, the great bulk of our source material is donated, and thus all but the most fragile pieces can be disbound for high-speed scanning. Just about anything is “scannable.” The only real question is “with how much care.” As materials get more fragile they have to be handled ever so much more gently. Once the scanning of the donated books is completed, the covers are discarded and the paper blocks are shrink-wrapped for permanent archival storage. Our dark archive facility is located in space that we rent in a former salt mine near Hutchinson, Kansas. Finally, about 3% of our output is produced by “extern scanner” operations hosted by various libraries: George Washington University Law Library, L.A. Law Library, the Library of Congress, and the university libraries at Saint Louis University and the University of Hawaii. The principal focus of the extern scanning operations is on material that is too fragile or rare to be shipped to our home office. 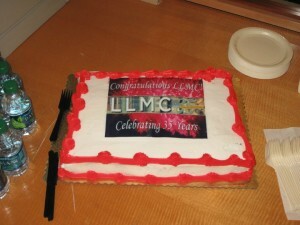 LLMC celebrated its 35th anniversary in 2011. If a library believes it holds materials not already included in LLMC’s databases that would be important to the legal and scholarly community, how would it approach LLMC to determine interest in scanning these materials? JD: Don’t be shy. Just give us a call. And assume interest on our part. We’re very likely to say yes. What advice would you offer to those who would plan to launch a book-related tech initiative? JD: First look for allies, and then spend a lot of time thinking about sustainability. If a job is worth doing, the product is worth preserving. To date we’ve done just over 85,000 volumes on over 51 million pages. When do you expect to scan your 100 millionth page? And how do you plan to celebrate? 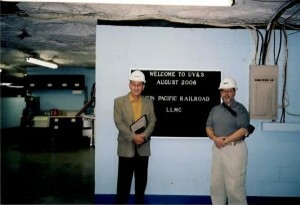 LLMC Board member Richard Amelung of St. Louis University School of Law, with Jerry Dupont at the “Salt Mine” near Hutchinson, Kansas, the dark archive facility for permanent storage of already-scanned disbound materials. 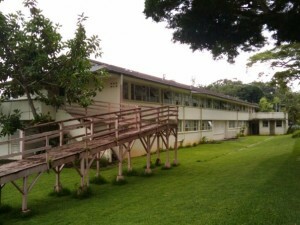 LLMC’s office building in Kaneohe, Hawaii.